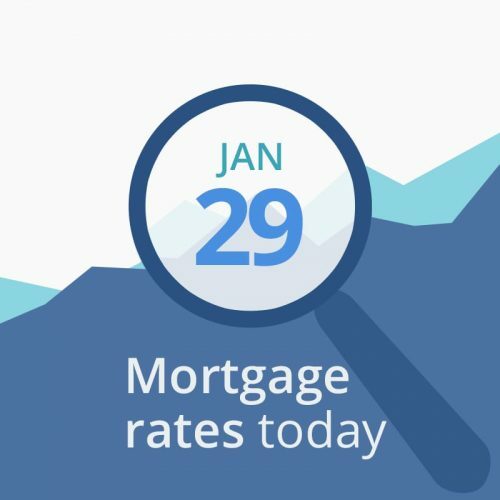 Average mortgage rates today are little changed from yesterday’s. And not impressed by the ending of the government shutdown last Friday, mostly because it was only a temporary shutdown. If both sides don’t come to terms, we will be right back where we started in three weeks. The Conference Board released its Consumer Confidence Index this morning, and it missed the mark — coming in at 120.2 instead of the expected 124. Less confidence in consumers, who drive two-thirds of the US economy, means less spending, economic cooling, and contributes to lower interest rates. The Case-Shiller Home Price Index slowed, posting an annualized 5.2 percent increase following the previous month’s 5.5 percent. Slowing home price growth is also bad for the economy, but positive for interest rates. Today’s financial data are neutral-to-bad for short-term moves in mortgage rates. Markets are still in limbo because relief from the government shutdown is only temporary and the US still does not have a budget. The results that finally end it and provide a budget will ultimately drive markets and rates higher, or, if things drag on too long, inaction will push the US into a recession. What that means now is that anyone looking at a lock/float decision soon can probably float a day or to if it will get them into a lower tier of pricing — for instance, a 15-day lock instead of a 30-day lock. This week is heavy on economic reporting, a relief after all those unreported numbers during the government shutdown. And the reports are important, too. So mortgage rates could move at more than they did last week.